MA'ALEH ADUMIM, WEST BANK – Scarlett Johansson's decision to part ways with international anti-poverty outfit Oxfam so she can keep her endorsement deal with Israeli fizz-maker SodaStream has intensified the global controversy over businesses that operate in the occupied Palestinian territories. But the Palestinian employees here basically have no idea who she is. "Maybe if they saw her, they would know who she is,'' shrugged Wassim Siam, a 26-year-old quality-control employee approached by a reporter outside the plant just as he was arriving for his Friday shift. He might be more clued in if someone bothered to come here and screen the commercial that was produced for millions to see on Super Bowl Sunday about the at-home carbonated drink machines that he and 1,300 others—500 Palestinian Arabs from the occupied West Bank and East Jerusalem, 450 Arab Israelis, and 350 Jewish Israelis—assemble and package in the West Bank. Siam says SodaStream's management has yet to brief employees about the Hollywood starlet, who signed on as the company's brand ambassador earlier this month, or tell them about the sultry commercial that Fox nixed from the Super Bowl over digs at Pepsi and Coke (an edited version was approved for broadcast). Not to mention her decision to end her seven-year tenure as an Oxfam ambassador after Oxfam objected to SodaStream's ownership of a plant in Palestinian territory that it, and the United Nations, regard as illegally occupied by the Israeli military. Sporting black Ray-Bans and a matching black jacket, Siam was standing just outside of the plant's iron gate after getting off a bus that had ferried him from a checkpoint in East Jerusalem to the Mishor Adumim industrial zone, located in the bald hills of the Judean Desert that lead down to the Dead Sea. 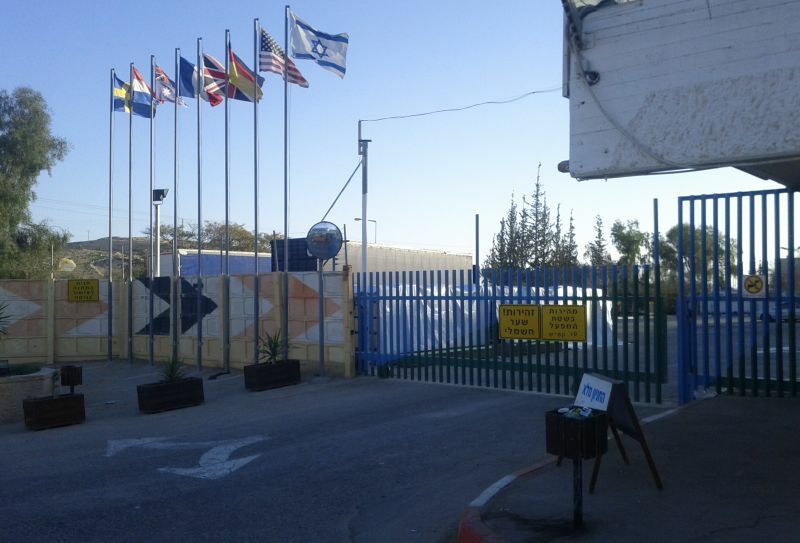 U.S., Israeli, German, Australian, and Swedish (but not Palestinian) flags flap silently at the SodaStream gate. From the street outside the factory (management declined to open up to a reporter), the last row of mid-rise apartment buildings are visible just up the hill in the Israeli settlement of Maaleh Adumim. Popping up over the west horizon is the water tower of Hebrew University atop Mount Scopus in Jerusalem—the edge of Israel proper—a 15-minute drive away. The flags of Israel, Germany, Australia, the United States, and Sweden—but not the Palestinian Authority—fly outside SodaStream's West Bank plant. 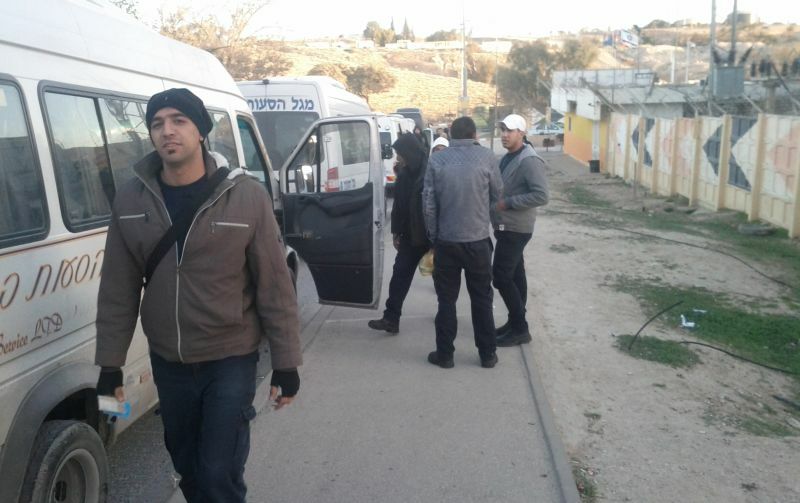 Just before 7 a.m., the silence outside the plant is disturbed by the roar of engines as the SodaStream fleet of buses and vans begin to queue up, and the Palestinian employees from nearby West Bank villages make their way to work. In a Huffington Post blog post last week defending her association with SodaStream, Johansson said she's "proud of the...quality of their product and work environment," and said the factory places Israelis and Palestinians together side-by-side in cooperation. That frankly sounds too kumbaya to be true, but a similar sentiment was actually volunteered without prompting by the Palestinian workers here. The workers here say they take home about $1,200 monthly–anywhere from double to triple common wages in the territories. The company also provides pensions and some medical insurance. Yousef said that many here are also for the most part unfamiliar with Oxfam, the anti-poverty human rights non-profit that has operated in the West Bank for years on behalf of the Palestinians. Palestinians are, of course, familiar with their own government, which is encouraging international efforts to boycott the settlements that they — and most of the international community — say have been illegally constructed on their land and are slowly eating away at a future state on the West Bank. Several years ago, the Palestinian Authority embarked on a major PR campaign to get Palestinians to boycott Israeli products from the settlements in their stores, drawing up long lists of goods to be banned from the shelves. The campaign largely failed. Truth be told, the SodaStream workers and local Palestinians were downright peeved when asked about the efforts of solidarity activists and their own government to boycott SodaStream. That could cost the hundreds of Palestinians wage earners salaries that are significantly higher than what they would make at home. Just a two-minute drive away from the industrial zone is a small strip of Israeli retailers featuring a discount Rami Levy supermarket chain (which also employees Palestinians from the West Bank) that is a big draw for Israeli locals. A random sampling of shoppers in the parking lot revealed that, like their Palestinian neighbors, most Israelis were vaguely familiar, at best, with Johansson. Still, her stand against Oxfam and against the boycott movement has won her decent media coverage here, and several had caught wind of the controversy on the TV news. Even though the movie star insisted her endorsement of SodaStream is not political, some see it as an expression of solidarity with Israel. If anything is causing unease at the SodaStream factory, it's anxiety that the firm might shut down the West Bank plant and move all of its operations inside of Israel, where a new factory is set to open in May. Several weeks ago, about 100 got layoff notices. Siam, who eventually checked out the Johansson commercial on YouTube, told me he liked it, especially the dig at Coke and Pepsi. "That was so cool.'' That said, Siam said he understood the objections of the pro-Palesitnian activists who denounced his company's ambassador. Josh Mitnick is a reporter in Tel Aviv who writes for the Wall Street Journal, Christian Science Monitor, and other publications.